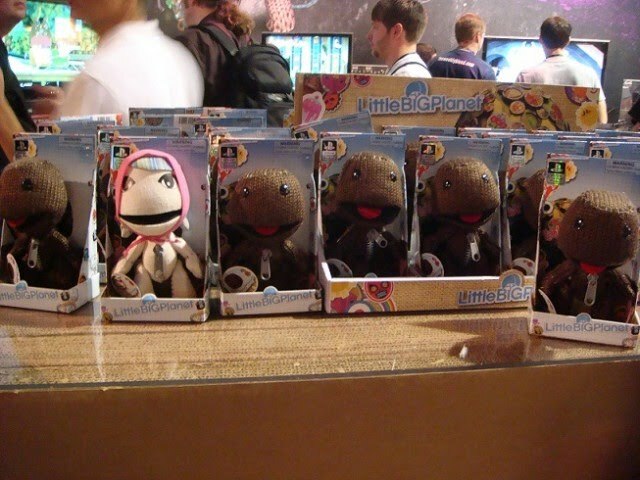 Official Sackboy Plushies Arrive at PAX 2010! Are you at PAX 2010 right now? If so, you might wanna stop by the LittleBigPlanet 2 Booth...and bring some cash with ya! 'Cause these Officially PlayStation Licensed LittleBigPlanet Sackboy & Sackgirl Plushies have arrived! They are manufactured by a toy company called Senario and they come in two different sizes, 6" & 10". The details officially posted for LittleBigPlanet 2: Collector's Edition claim that the Sackboy Plush that comes with it will be 7", meaning these are probably not the same ones we will receive with LBP2: CE. The smaller dolls are being sold for $10, while the larger ones are on sale for $20. "The Sackboy/Sackgirl dolls are soft, but not floppy like Beanie Babies. Their bodies and limbs are quite firm, so they can stand upright if you lean them against a wall. They don’t have jointed limbs so they aren’t really poseable, but they can still easily sit down. The dolls come in different colors and materials just like in LittleBigPlanet. I can’t comment on the appearance of the larger dolls because they weren’t available when I was at the booth." GamerTell.com writer Toni Schwartz asked a representative from Senario about future Sackboy stuffed animals, and he confirmed there will be a Series 3 Set at some point. It will include a biker Sackboy, a cowboy Sackboy, and even a Sackbot from LittleBigPlanet 2! Series 3 has an approximate November 2010 release date, and you will be able to buy them online and at GameStop Stores. 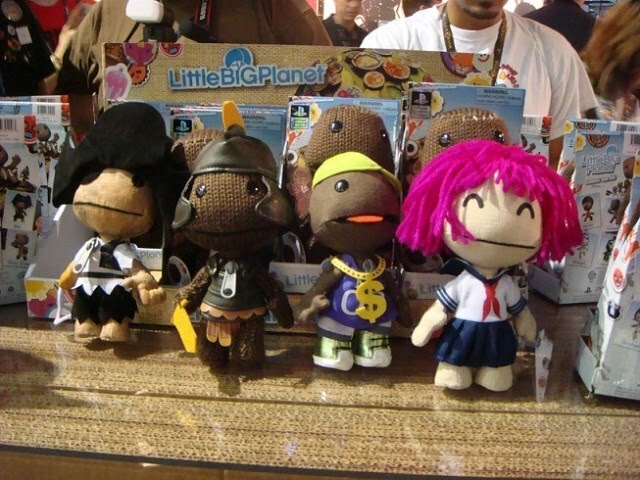 BUT, WAIT: If you can't make it to PAX this weekend, you can still grab one of these awesome Sackboy Plushies!!!! That's right! Just Click Here to visit Senario's Website, where you can order their LittleBigPlanet Merchandise Online!